Alfred Stieglitz, Marsden Hartley, 1915-16, gelatin silver print. 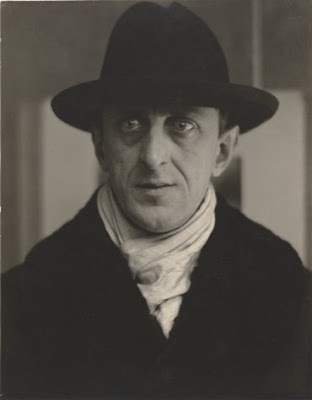 Art is a logical, not a psychological, expression, as Marsden Hartley observed: "Painters must paint for their own edification and pleasure, and what they have to say, not what they are impelled to feel, is what will interest those who are interested in them. The thought of the time is the emotion of the time."